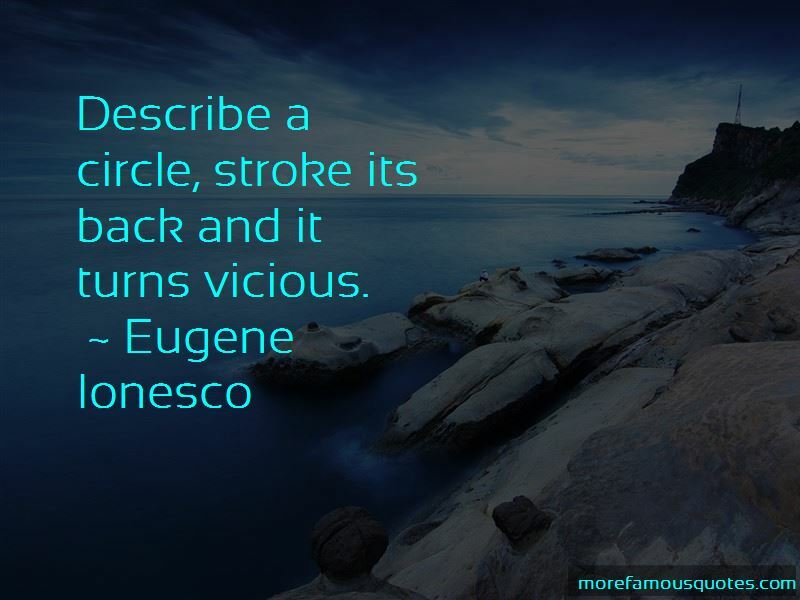 Enjoy the top 72 famous quotes, sayings and quotations by Eugene Ionesco. To tear ourselves away from the everyday, from habit, from mental laziness which hides from us the strangeness of reality, we must receive something like a real bludgeon blow. 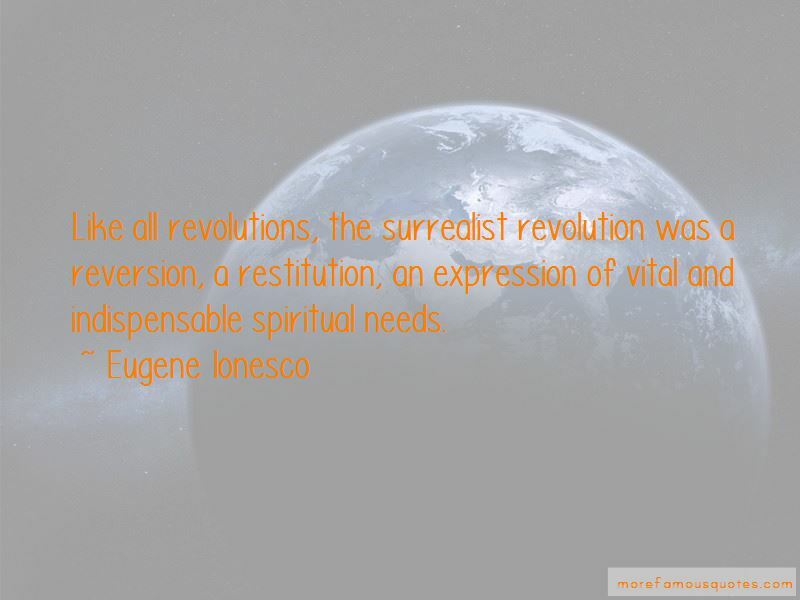 To me the world seems grotesque, absurd, ridiculous, painful. As soon as one knows one is going to die, childhood is over ... So one can be grown up at seven. Then, I believe most human beings forget what they have understood, recover another sort of childhood that can last all their lives. It is not a true childhood but a kind of forgetting. Desires and anxieties are there, preventing you from having access to the essential truth. 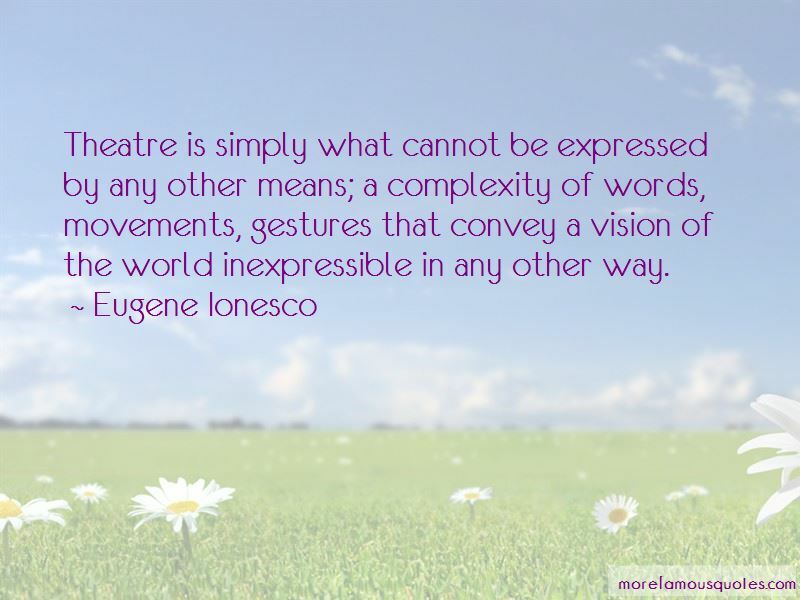 Want to see more pictures of Eugene Ionesco quotes? 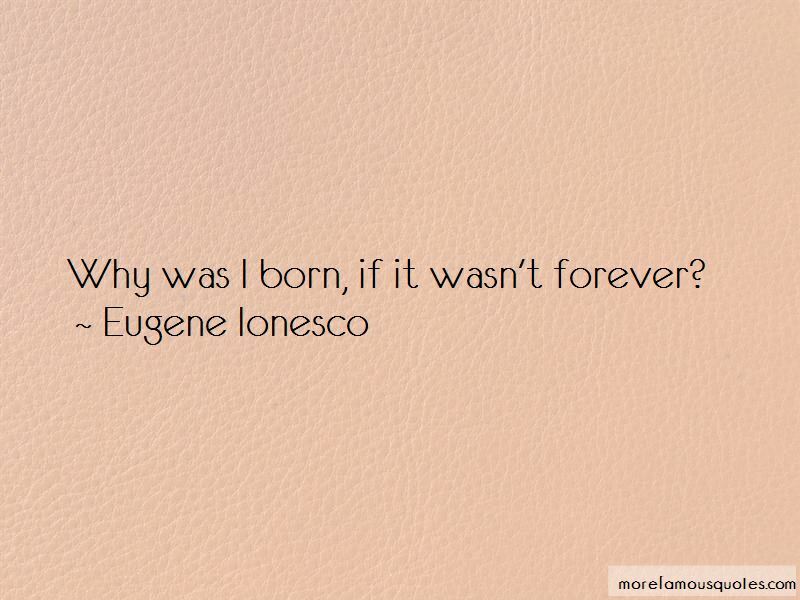 Click on image of Eugene Ionesco quotes to view full size.